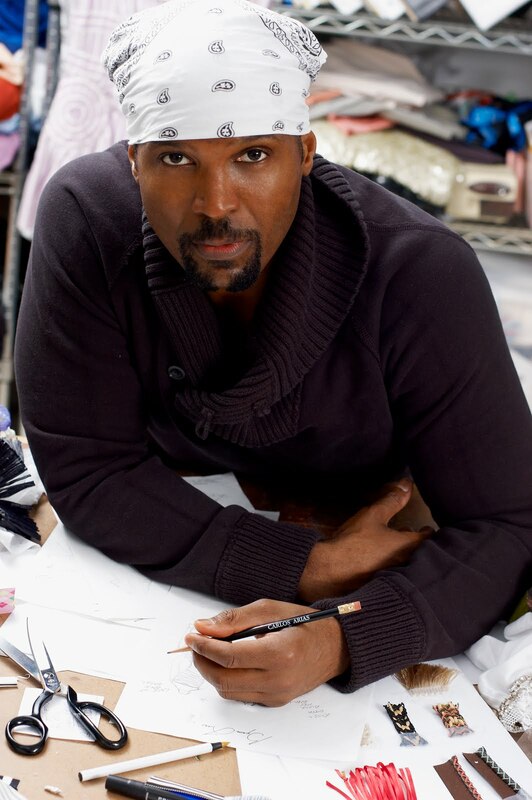 Byron Lars is one of Ms. FAB’s fashion idols. He is also on the FLOTUS short list of go-to designers. Our most fashionable First Lady, Michelle Obama, wore Byron Lars Beauty Mark to a high profile concert event held at the White House in June. PBS will air Paul McCartney: The Library of Congress Gershwin Prize for Popular Song In Performance at the White House" tonight on your local PBS station. FAB Ritika got lucky and snagged an exclusive interview, a studio tour and a top secret peek at the 'First Sketch’ of the dress. MsFABulous: What were some of your inspirations as you were designing the Fall 2010 collection? Byron Lars: My inspiration for the Fall Collection was primarily color and texture based. Any fabrication that had either color which I couldn't get off my mind or that had a texture which compelled me touch it was included in this collection. The themes involve vintage hybridization. For instance, a bulky cotton tweed boxy jacket that your grandma might have worn gets crossbred with a zip-front hoody, resulting in something that both a skate punk and your grandma could rock. MsF: How do you develop your collections? Do you have a specific muse in mind as you design? BL: Each collection is developed from many points of reference at once. Construction alone may inform some of the pieces while the attitude of a particular customer might inform others. The one thing that I always try to keep in mind while developing new collections is to make sure that I’m providing clothes that help my customer look better. This is why so much attention is paid to proportion and detailing. MsF: Do you think a great designer piece is a luxury or a necessity? BL: I’m not so lost in fashion as to think that any designer piece is an absolute necessity. I am fairly certain however, that anyone who has once experienced wearing a designer piece that really fits properly and is made out of superior fabric might see things differently. MsF: For design aficionados who can't always afford designer pieces, what is your suggestion to update their Fall 2010 look. Is there one piece you feel is a must have? BL: I would have to say that the one must-have fall update item is a great fishermen cable sweater. Paired with a super dressy bottom that you already own (for instance that seldom worn beaded or sequined skirt that you got for your cousin's wedding), this staple becomes fashion that be worn for day or evening. MsF: What sacrifices did you have to make to have this career? Would you have changed anything looking back? BL: I haven't really had to make any sacrifices for this career that wouldn't had to have been made for any other career. Of course in fashion, as in any career that you are passionate about, there are many long hours and working weekends however, I would love it if I didn't have to be away from home as much as I am. 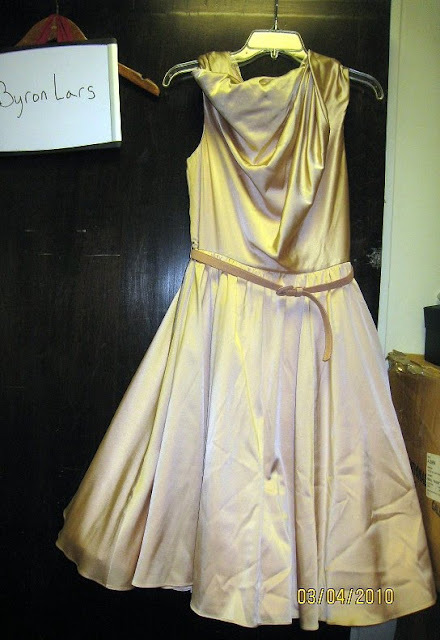 MsF: Michelle Obama wore your dress to a recent white house concert. What would be the perfect dress you would suggest for her from your fall collection? Or are you working on a super secret design project for the white house that you can’t talk about…..yet? BL: There are no super secret design projects for the First Lady...at least not for me anyway. It was of course a great honor for me to see that Mrs. O chose to ware one of my dresses. I always have so many dresses in each collection that I think Michelle Obama could rock splendidly that it's hard for me to narrow it down to just one. If, however, I had to choose just one dress for her from the Fall collection it would be this simple scoop neck black sheath that has a lace tank under pinning. it's classic, has a touch of the unexpected and is super chic...just like Mrs. O.
MsF: Can we get a sneak peek at what you’re working on next? BL: There won't really be anything to sneak a peek at until I make my next sample development trip to China, which is coming up in the next couple of weeks. MsF: The last question comes from one of our readers. She wanted to ask if you plan on working with Vogue patterns or designing another Barbie in the future? BL: At present, I don't have any future plans to work with vogue patterns but, anything is possible down the road. My relationship with Barbie and Mattel is ongoing so, there will be more dolls...a new one every year in fact. The most recent series is designed around the idea of a sister from Harlem traveling the globe and putting her fashion spin on the culture that she has experienced abroad. Working with Barbie is probably one of the funnest parts of my job! This is one item that you can always afford at every price point. If you have never worn a Byron Lars dress before, you are missing out. One can rarely find an outfit that combines unique construction, quality and artful design in the same piece. To find a dress similar to Mrs. Obama’s, shop on-line at Carina New York. The dress comes in Dove and Blue and retails for $316. Tip: Shop now as anything Mrs. O. wears usually sells out within hours. Isn't it nice to know that First Lady style is democratically accessible?